I wasnâ€'t far out from the beach â€" just beyond the lightly rolling breakers. My feet had left the sandy bottom, and amniotic water burbled around my shoulders. A sea eagle sailed between me and the hot afternoon sun. The starburst tops of a coconut grove delineated the beach. An arc of sugar, it stretched away to a cluster of rounded rocks and, beyond, a rise of greenery leading into the tufted mountains of a national park. I was floating in the Andaman Sea at Khao Lak, in Thailandâ€'s southwest. A paradise of mangroves, tropical islands and emerald coves set in electric-blue waters, the Andaman Coast is one of the worldâ€'s best-known beach destinations. It includes the island province of Phuket, the spectacular small island Ko Phi Phi, hopping Rai Le Beach and more sedate Khao Lak. Its vacation options range from some of the most luxe accommodations on the planet, through unassuming hotels priced for the modest budgets of middle-class European and Asian families, to pristine natural areas accessible only to those willing to rough it. The area is legendary for its lush coral reefs and caves and the green-shrouded sugar-loaf rocks rising from the sea in Phang Nga Bay. But the softly humid breezes of the Andaman Coast also carry an echo of menace. At the end of 2004, this beach at Khao Lak was littered with bodies and debris. Horrific, indelible scenes that spread around the world almost as fast as what had caused them, the great tsunami. All told, the disaster killed a quarter-million people worldwide and more than 8,000 in Thailand â€" fishermen, villagers and more than 2,000 foreigners from 16 countries. The United Nations estimated that around 150,000 people in Thailand lost their livelihoods in fishing and tourism that December morning. I visited this part of Thailand in October, just before the start of the tourist season, with an eye toward assessing the coastâ€'s recovery. What I found was a placid seaside with few signs of the disaster. Instead, it had the expectant atmosphere that any popular tourist area has just before the high season. The beach at Khao Lak was empty, and few tourists were around, but the palm-shaded resorts were spotless and occupied with preseason preparations. Everywhere I went on the Andaman Coast I heard the rhythm of industrious hammers and smelled fresh paint. Statistics from the Tourism Authority of Thailand support the impression of a full physical recovery for the tourist business â€" and until political uncertainty and the current global economic crisis sent visitor numbers plunging, an economic recovery as well. Other than Khao Lak and Ko Phi Phi, which, respectively, lost 75 and 60 percent of their hotels, most of the Andaman Coast was spared complete devastation. Hotels were refurbished and repaired, and after visitors returned in large numbers in 2006, a vigorous building boom began. 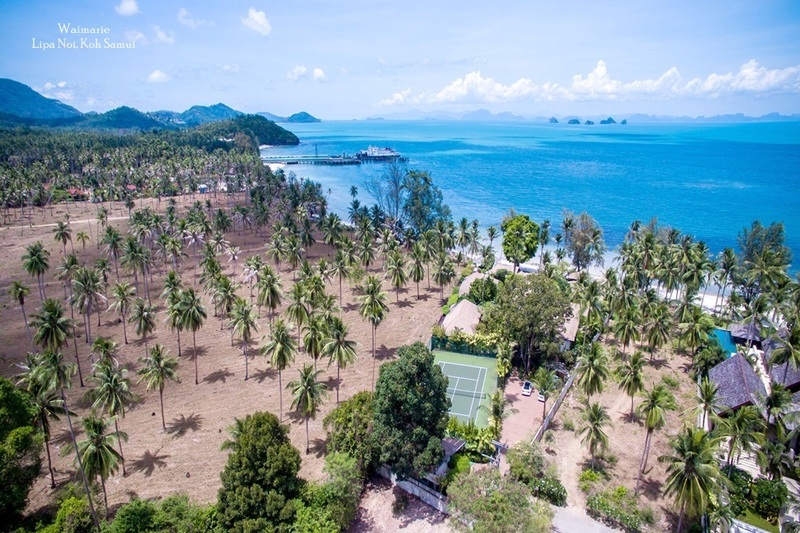 In 2007 alone, Phuketâ€'s stock of hotel rooms climbed a tenth, contributing to an 11 percent increase in visitors to the island, to more than five million â€" more than in any year before the tsunami. In 2008, more new hotels went up. For travelers willing and able to spend the money to get there, this coast is once again an inviting place to stay. 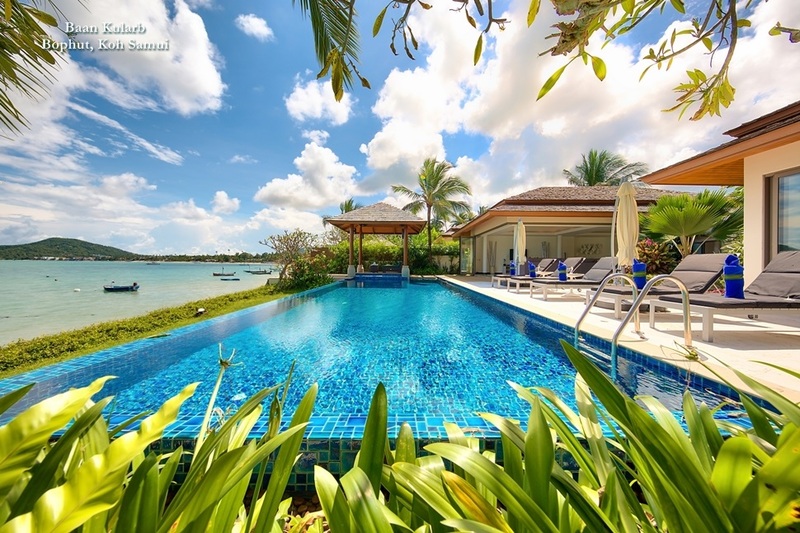 The Khao Lak area, which suffered much of the Andaman Coastâ€'s worst devastation, now features a low-key set of immaculate resorts attracting families from around the world, especially Northern Europe. 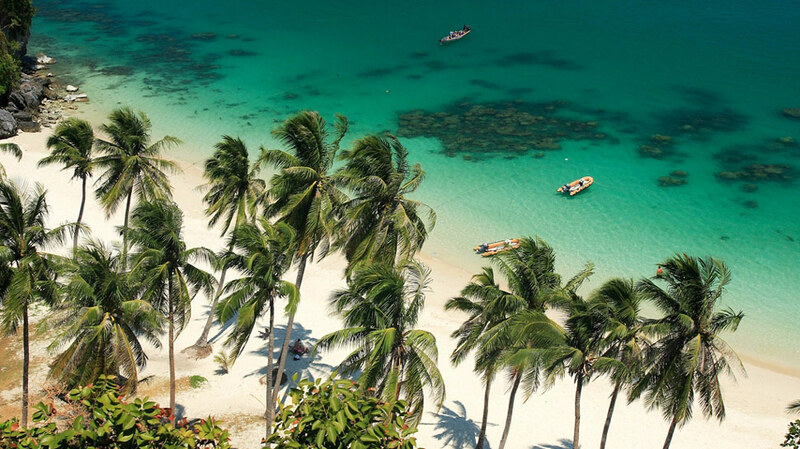 Instead of boisterous night life like that in Patong, on Phuket to the south, or stunning cliff faces like Rai Leâ€'s, to the east, Khao Lakâ€'s charm is in its long serene beach at the foot of a range of thickly forested mountains. 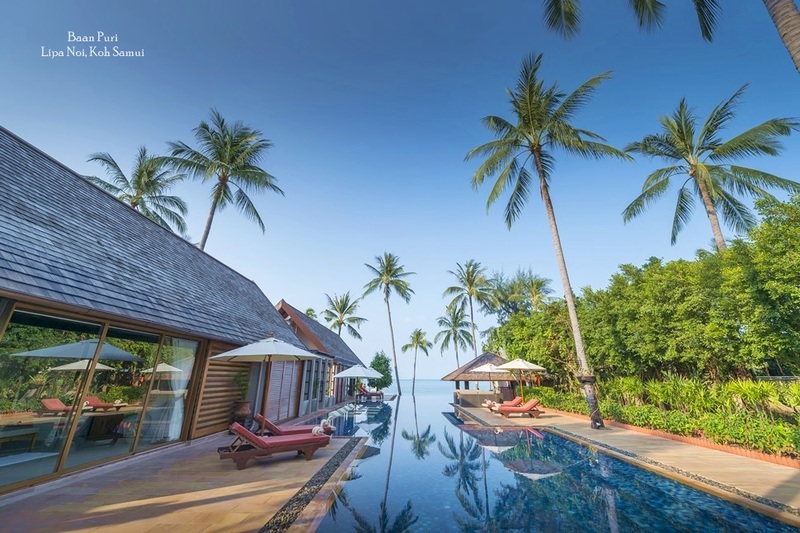 Though it retains its mellow vibe, the new hotels are changing things: Khao Lak now features more upscale luxury than it had before, with newer resorts joining rebuilt ones like Le MÃ©ridien Khao Lak, which seems to have overcome rumors that it was haunted after the disaster. I found few signs of the tsunami â€" a vacant lot here and there and a few treesâ€' exposed roots and stumps of twisted branches alarmingly high up their trunks. The town, a strip of shops, restaurants and tour operatorsâ€' offices in utilitarian concrete boxes, was bustling if uninspiring. As the sun dipped magnificently into the fiery Andaman Sea, I took a place at a split bamboo table by the surf. I dug my toes into the warm sand like a ghost crab and washed down an assertively seasoned green curry with a big bottle of hoppy Chang Beer. Just as the sky turned inky, someone nearby launched a candle-powered paper hot-air balloon. It rose steadily, eventually taking its place as an orange star among the constellations. THE next day, behind the town, I found unmistakable evidence of the tsunami. A small grassy park surrounds an incongruous police boat that was washed there, a mile from the sea, by the wave. The boat had been guarding a Thai prince who was killed in the disaster, and it became a place of mourning and remembrance. Certainly, everyone who survived has vivid memories. My driver in Phuket, Marn, told me that 10 members of his family had died in the tsunami. But the forlorn boat, and an abstract memorial sculpture nearby, seemed forgotten. A few foreigners walked around the gray hulk in a warm drizzle, shaking their heads. If there is any grand physical monument to the disaster, it is the rebuilt coast itself. 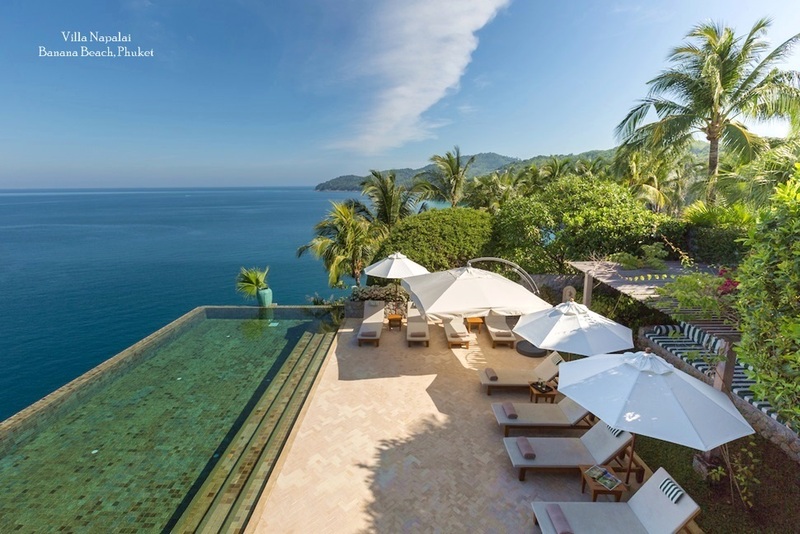 â€œItâ€'s back, stronger than it ever was pre-tsunami,â€ said Bill Heineke, an owner of the Anantara hotel group, which got its start in northern Thailand and now has nine resorts around Asia. Anantaraâ€'s hotel in Khao Lak was destroyed by the tsunami, but in October the group opened a new one on Phuket. But the areaâ€'s economy is at the mercy of more than the awesome forces of nature. Even as I strolled the beach, fresh troubles were brewing. The global economic collapse has been a blow to every region that depends on the disposable incomes of rich countries. Meanwhile, domestic tensions have flared as Thailandâ€'s complex politics works through a particularly intransigent period. Political demonstrations in November closed both of Bangkokâ€'s airports for days, stranding more than a third of a million travelers.